Cloudy, this morning, pleasantly so, and quiet on the trail. 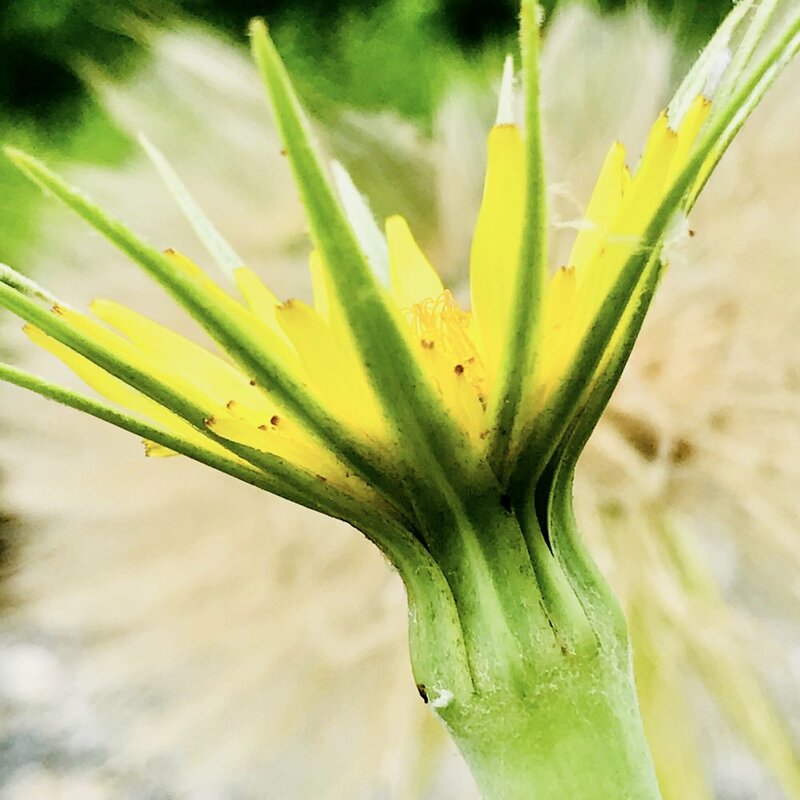 By the railroad tracks in the gravel, the tall, grass like stalks of the yellow goatsbeard grow in the sun, and most of them now have lost their bright yellow petals and are going to seed, exploding into big brown puffs – like goat's beards. I stay and visit, crouching in the gravel and milkweed for awhile, to get a closer look of the plant in all its beautiful life stages. My father's aging was like the goatsbeard. As he aged, as he browned and his words thinned and his intentions clarified, I saw his essence so clearly. Kindness. Kindness. Kindness.